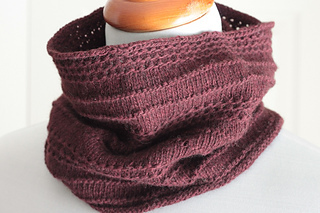 Have you ever had a small skein of lace-weight yarn but weren’t sure what to do with it? 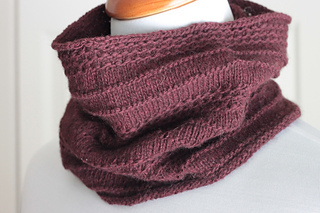 The Maple Cowl uses just 350 yds of lace-weight yarn held double on a US 4 needle and provides just enough warmth around your neck without the bulk. by mYak (100% yak; 50g = 360 yds), 1 skein. Note: As another option, you can choose to use approx. 180 yds of sport-weight yarn (instead of lace-weight) but you will not have to double strand it.